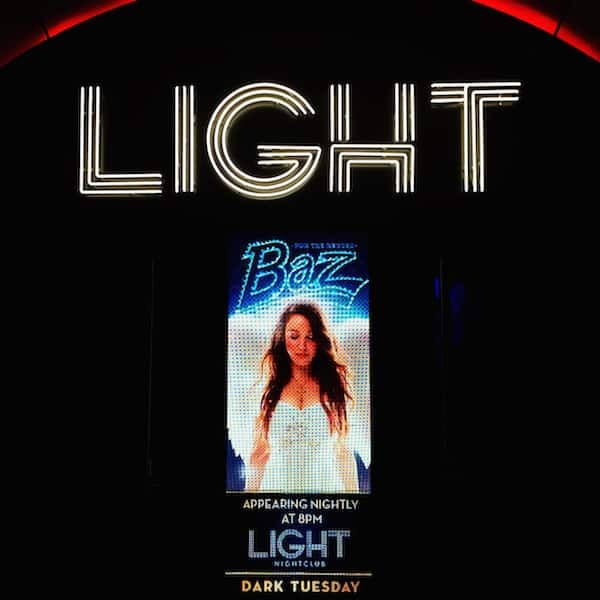 There is a new star of the Las Vegas Strip and his name is Baz. Technically Baz Luhrmann, the Australian director of Strictly Ballroom (1992), Romeo + Juliet (1996), Moulin Rouge! (2001), Australia (2008), and The Great Gatsby (2013). 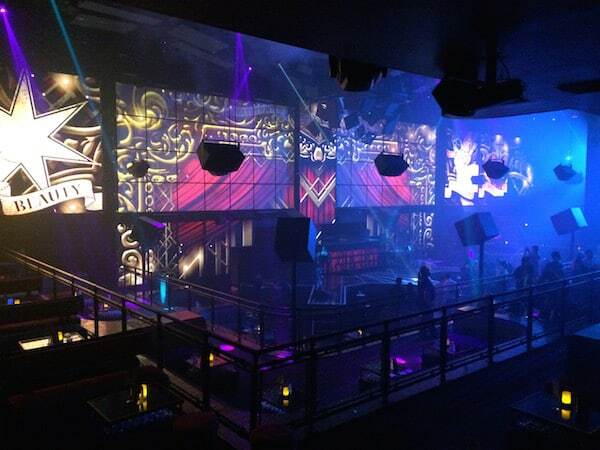 A new production at Mandalay Bay is For the Record BAZ Las Vegas which opened June 26 in the LIGHT night club. The show originated in Los Angeles and is produced in Vegas by Cirque Du Soleil. 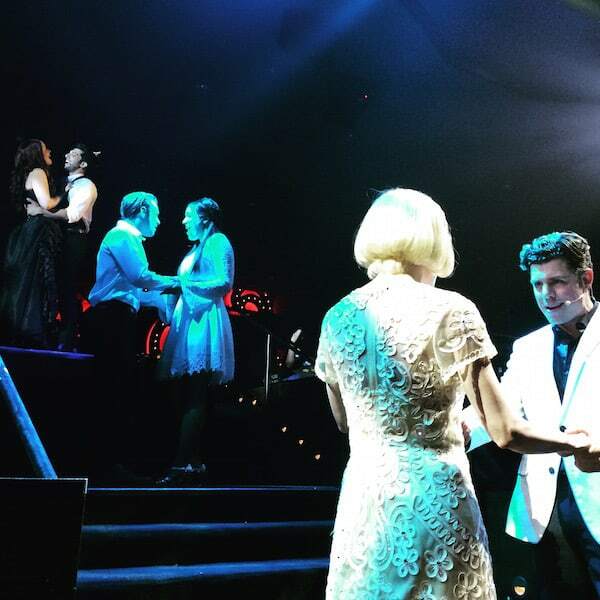 The Vegas production of BAZ uses the songs and story from Romeo + Juliet, Moulin Rouge! and The Great Gatsby (Strictly Ballroom was dropped from this production to shorten the show for the short attention span of the Vegas crowd). The three movies are weaved together seamlessly from first love to tragic ending. The theater is the intimate LIGHT nightclub. 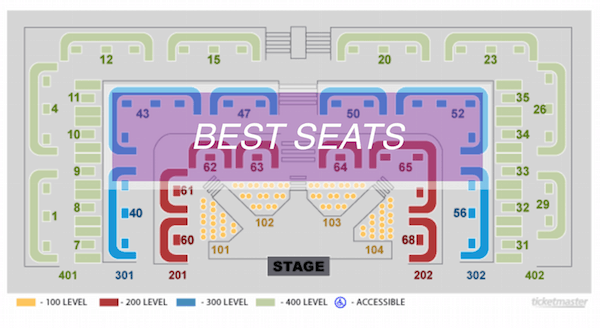 There are three price levels ($71 to $93 including fees), however there is not a bad seat in the house. However, I would suggest sitting not too close to the stage. Most seating is in booths however you are encouraged to move around and sit on the seat backs. I started out in a booth next to the stage but the usher encouraged me to move towards the center where I sat on a seat back next to the aisle. Note: although it is only a PG-13 level of show, since it is in a club it is 21+ only. 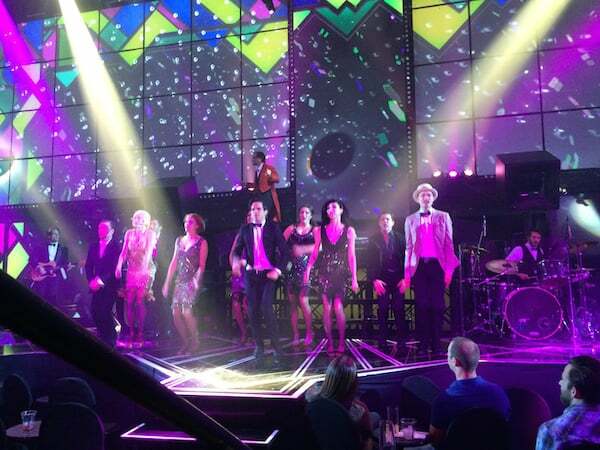 Actors move around the entire club, singing and dancing and jumping from seat to seat with the live band playing with perfection. I found myself craning my neck to find where the current action was taking place as I clapped and cheered along with the production. This is not a typical Cirque show — there are not very many acrobatics. In fact, this is not a typical Las Vegas show at all (and I am guessing some less adventurous people may not like it). The closest comparison would probably be Absinthe or the late Vegas Nocturne at Rose. Rabbit. Lie. It is musical theater that puts in the middle of the action. The stage with bright LED screens helps tell the story and engross you in the experience. The fireworks scene was one of the most spectacular. However it is the actors that carry the production. I’ve seen many shows in Vegas; every Cirque show (minus Criss Angel: Believe), Blue Man Group, star DJs at clubs, even (I’m embarrassed to say) Tournament of Knights. The emotional punch, acting and singing skills, and overall fun of For the Record BAZ Las Vegas puts it at the top of my list. It is scheduled to be in Vegas through October so see it soon. You won’t regret it. Bonus: if purchasing the tickets in person make sure you show your Mlife players card so that you can earn points for the purchase. If you purchase it through Ticketmaster, bring your receipt to an Mlife desk to get the points added on to your account. Disclosure: I paid for my ticket in full myself. Therefore, like all of my posts, the opinions are completely my own and not biased by financials.